The changing global environment is impacting sustainable development throughout the globe, with some of the worst impacts on LDCs. Of all the countries in the world, LDCs have the lowest Human Development Index ratings (UNDP, 2015). Several international frameworks have recognized the need for special treatment of LDCs, for example, the 2015 United Nations Framework Convention on Climate Change (UNFCCC) Paris Agreement and the Sendai Framework for Disaster Risk Reduction 2015-2030 (UN, 2015a; UNISDR, 2015). However, this recognition has not reduced the significant capacity constraints that result in acute susceptibility to disasters in these countries (Dube & Sivakumar, 2015; UN, 2015b). Although vast information on global environmental change is generated at regional and international levels, policymakers in LDCs continue to rely on scanty and incomplete information, partly because available information lacks immediate local context for an effective application (Seitzinger et al., 2015). 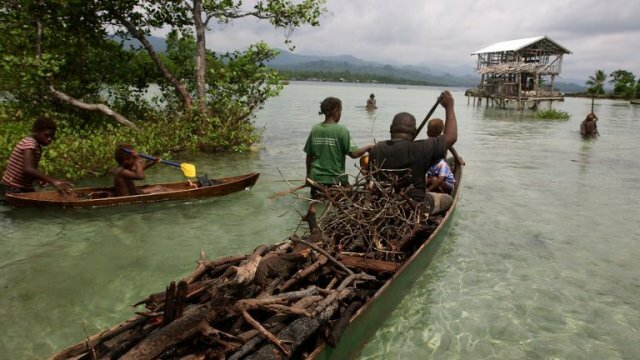 The objective of this LDCs study was to synthesize material on major climate-related hazards and disasters and environmental challenges facing the Asia Pacific LDCs, key barriers to reducing climate disasters, and identify underlying causes of such barriers while highlighting potential contribution of traditional locally based practices to reducing vulnerability. In doing so the synthesis also sought to build capacity among scientists and policymakers in LDCs and facilitate the integration of local information with relevant GEC science outputs generated by various international organizations, to produce updated and consolidated outputs that can better address the challenges faced by LDCs. This study was conducted as part of the International Geosphere-Biosphere Programme (IGBP) second major international synthesis of key policy-relevant areas within GEC research from which a theme on GEC and Sustainable Development: Needs of LDCs was selected with a focus on the Asia Pacific (APAC) LDCs (Seitzinger et al., 2015). Read the full article which originally published at APN Science Bulletin.